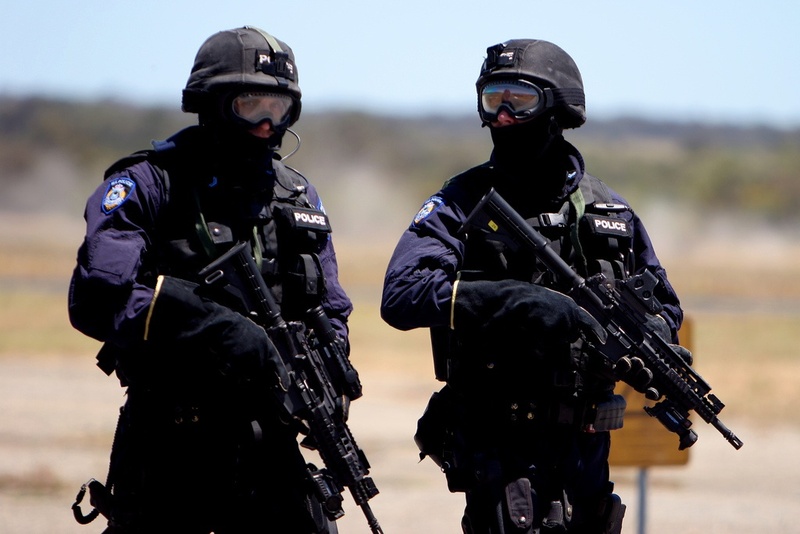 Australia’s spend on counterterrorism: how much is enough? I haven’t tried to test that Barrie. What I do know is that our annual Defence expenditure for the Department that I’m responsible for on the civilian and military side is $26 to $27 billion. So I haven’t done the tally but I’d make this very simple point: When we are in the sure and certain knowledge that we are in the face of an international terrorist threat, it’s not the money that we spend, it’s the preventative measures that we take and the effectiveness of those measures. So it may well be a very large amount of money. The key thing is, are we better prepared, are we doing better and has that money been well spent? And I think we are much better prepared. The Minister does not state why the figure of $30 billion dollars is justified. He simply states that it is. But it is not enough to shrug one’s shoulders and state being better prepared is your measure of success. For instance, could the Government have spent $10 billion to achieve the same outcome? Counterterrorism should be costed with a system of accountability for expenditure, otherwise the Government can effectively write itself a blank cheque. If any level of spending on counterterrorism is justified because the measure of success is the absence of terrorist incident, by that logic, any amount is enough. The challenge, therefore, is discerning how much expenditure, especially what minimum amount, is actually required to achieve this state; that is, a sense of feeling secure. But the Government has no system to measure whether the amount of $30 billion dollars is justified in achieving either a sense of security or actual security. Unlike Defence’s 2009 white paper (PDF), which outlines strategic aims, capability projects and projected costs through to 2030, the 2010 Counter-Terrorism White Paper (PDF) provides no projected costs to meet the strategy outlined therein. It would be possible to disaggregate some of the costs by examining the contribution of departments such as Defence and agencies such as the AFP, but the Government does not even attempt to provide such figures. It is difficult to measure the benefit derived from activities like counterradicalisation but that does not mean other areas of counterterrorism cannot be costed. The costs of related capability and equipment, upgrades to intelligence agencies, recruitment, and facilities can be determined and provide part of an assessment of whether the costs are commensurate with security dividends. If analysts like Mark Thomson are able to cost Australia’s national security then the Government has an obligation, if it chooses to not refute that amount, to break down and justify the spend of taxpayers’ money. Image courtesy of Flickr user Devar. This entry was posted in Australia, Counter-terrorism by Natalie Sambhi. Bookmark the permalink. Surely you’re not surprised by the government’s inability to effectively cost a project! Whether it’s budgeting for Defence expenditure (giving them money and then taking it away again), or the Building the Education Revolution, the NBN, etc, there never seems to be either effective budgeting or any solid reasoning behind it. Regarding our counterterrorism measures specifically though, is the current terrorism threat to Australia really worth more than that of Australia’s defence in general ($30b vs. $27b)? To be clear, the Federal government has only (directly) spent approximately $10.5b on homeland security. The $30b figure includes large amounts (about $9.4b) from Defence expenditures, such as fighting the conflicts in AFG and IRQ. It also includes aid provided to these regions, as well as some expenditure from state & local governments, and private industry (to a total tune of about $5.5b). So comparing $26.5b of military budgeting to this figure is a bit disingenuous. The $26.5b of military expenditure is best compared to the approximately $10.5b of homeland security expenditure – which includes funding for the AFP, and some of the intelligence agencies. This is geared towards a more ‘whole of government’ approach, which seems to be the way new conflicts are heading. And that’s understood, but considering the threat from terrorism, did we really need to spend so much to try and combat it? My point was that considering the level and extent of the threat, with effective policies and training it could have been possible to include effective counterterrorism measures in our current law enforcement, security and defence budgets – we’re (apparently) now discovering that with effective management and accounting practices, Defence didn’t necessarily need the slice of the national budget that it has been receiving, so are other agencies the same? Through similar LEAN programs, could they all have been able to incorporate the extra CT role and duties with minimal extra cost or is that what actually happened? Somehow I doubt it.